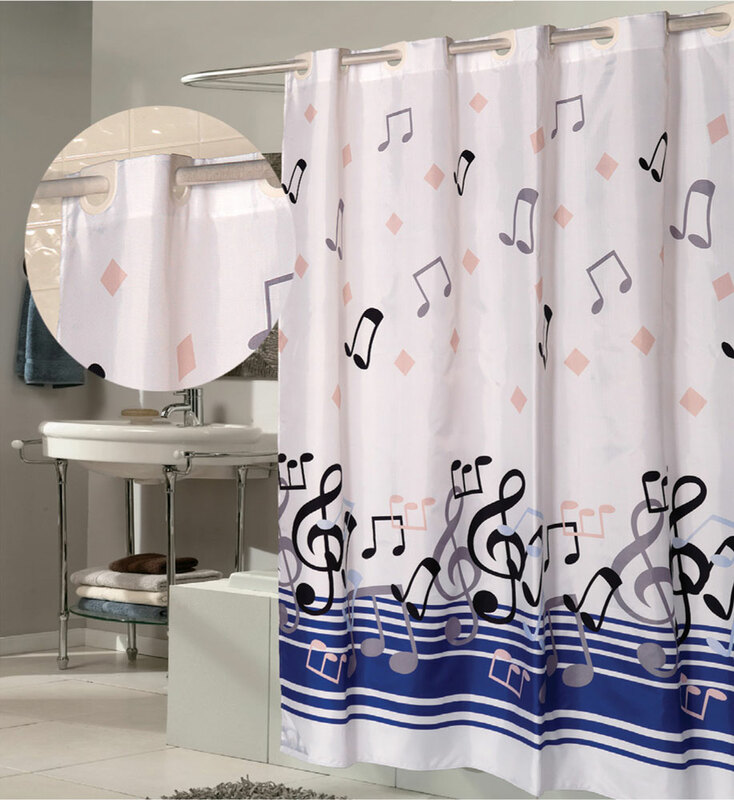 "Ez On" Fabric shower curtain with built in shower curtain hooks. 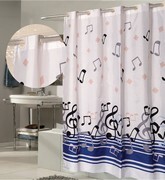 No hooks need for this liner, 100% polyester material, Weighted bottom hem, no liner liner required. Sizes vary. Please select from the menu on the right. Add the size and qty desired before placing the product in the cart. Returns will only be considered for concealed defects in the manuafacturing process, incorrect size shipped from what was ordered or if the product was damaged in transist. Carrier proof /validation required. No buyer remorse returns allowed. This products ships from the factory and separate shipping charges apply.